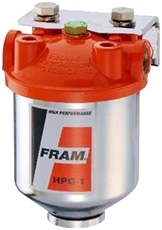 This fuel filter flows up to 90 GPH. Engineered for high performance filtration. It features 3/8" NPT inlet and outlet and comes complete with mounting bracket. Replacement filter cartridges also available.